A few game announcements (and one that is rumored), some interesting industry tidbits, and the King of Pop round up today's headlines. Sega-philes have known for a while about the rumor that Michael Jackson had contributed in some form to the soundtrack, but recently we've received possibly the closest confirmation we may ever get to an official acknowledgement from Huffington Post's Todd van Luling in a new article that sheds light on the long-speculated matter. Of course, SEGA won't spill the beans, and some of that could be for legal reasons, but in an interview with the game's composers, they all confirm that Jackson did have a hand in composing some, if not all, of the game's tracks. Reportedly, one of them even signed on to the job because he was told he would be working with Jackson. In the end, two things seem to have contributed to Jackson's name being pulled from the credits. One was the 1994 scandal in which he was accused of molesting a boy (in which case SEGA would want to distance themselves from the accusations). The other is that Jackson apparently was disappointed with the way the final soundtrack sounded, with the Genesis not being powerful enough to simulate the music and instead being reduced to "bleeps and bloops." Regardless, it's a fascinating read. If you want to read more, check out the source link below. No, unfortunately this isn't a joke. Mighty No. 9 has officially been delayed yet again, as mentioned in a note to backers of the Kickstarter today. The game's creator Keiji Inafune mentions that the delay is due to issues with the multiplayer mode -- something that was added as a stretch goal when the Kickstarter campaign was going on. Inafune has expressed his apologies over the delay, mentioning that there's 'no excuse' for disappointing fans and backers once more. 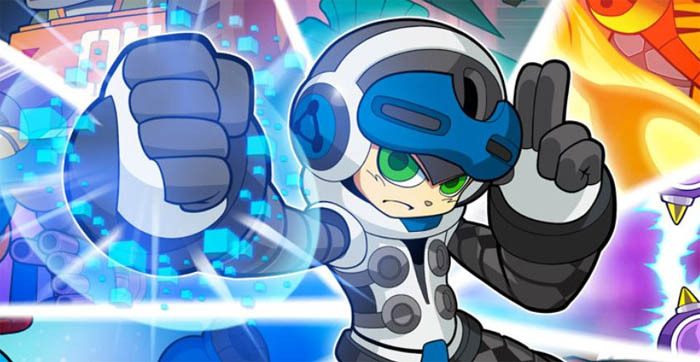 Unfortunately, there is no new release date, though Inafune says he expects it to be in Spring 2016. Could it be? Even after making his appearance in the recently released Mario & Luigi: Paper Jam, Paper Mario might be getting his own standalone Wii U release courtesy of Intelligent Systems. We totally called this last year, by the way. According to industry pundit Emily Rogers (who has leaked game announcements successfully before), both have confirmed with five separate industry sources close to the matter that a Paper Mario game for Wii U is indeed in the works and will be announced at some point this year (probably E3). Whether or not the game is an RPG like the first two games in the series is unknown at this point, but hey, one can always hope. The latter two games have strayed a bit from the original formula, with 2007's Super Paper Mario opting to be a bit more of a platformer, and 2012's Paper Mario: Sticker Star was more of... well, its own thing, I guess (we reviewed that one here). Nintendo has not confirmed this leak, so it remains a rumor for now, but the info does line up with reports from last Summer about how Intelligent Systems put out a job listing with Paper Mario on Wii U being listed, so make of that what you will. If true, this will be the first Paper Mario on a console in 9 years. Last Thursday, SEGA gave us a little taste of something they're bringing to 3DS soon -- SEGA 3D Classics Collection! While SEGA has bundled their classic games in collections previously, this collection specifically houses their classic titles that have been ported by M2 to 3DS with 3D functionality added (and sometimes additional options). Since the collection is missing some of the more recent 3D classics that SEGA has recently put out (3D Gunstar Heroes, 3D Sonic the Hedgehog 2, etc. ), it seems likely that there will be a Volume 2 at some point as well. 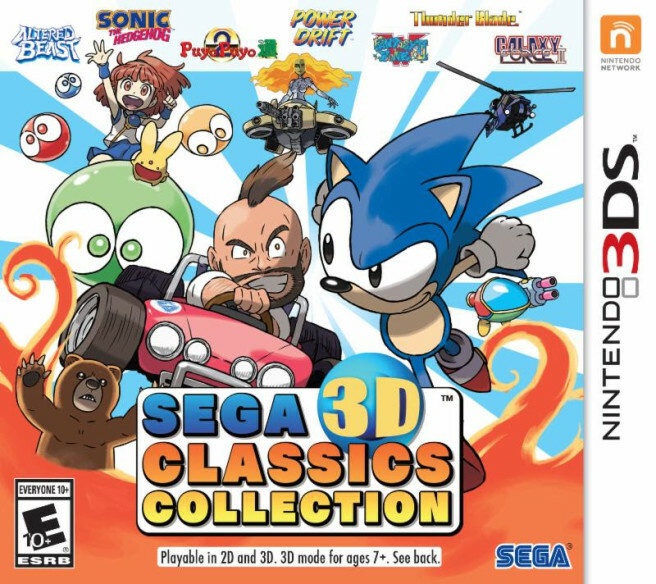 SEGA 3D Classics Collection will be available for $29.99 on April 26. Choice Provisions announced earlier today that Shutsumi will be making its way to Wii U eShop next week. 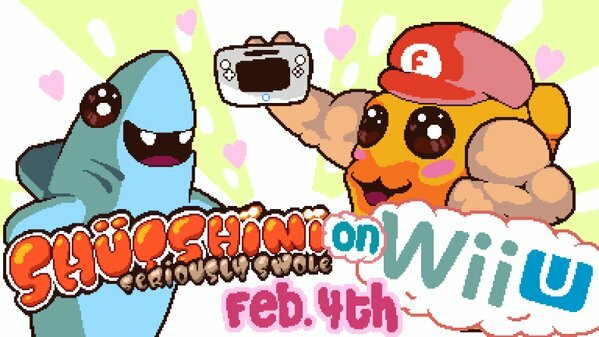 The game originally released last year on Steam, PlayStation 4, and PS Vita, and features a muscle-bound fish defending the seven seas in a randomized shoot-em-up campaign. Also, isn't that promo image amazing? Ever wonder what drives developers at AAA companies to go indie? You probably already know, but a Ubisoft dev recently wrote at length about his experience at the company and why he chose to go it on his own. 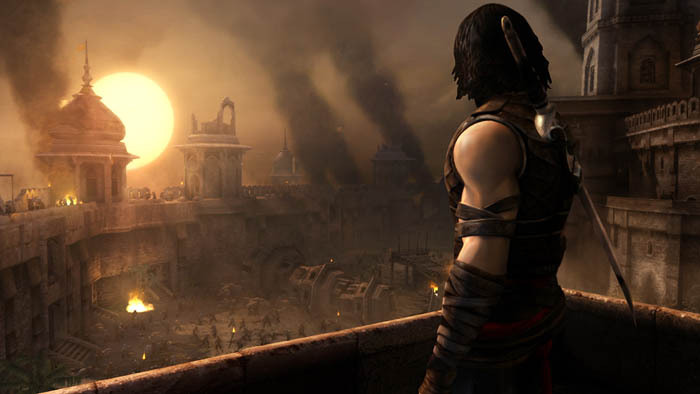 He has some pretty interesting things to say about working on games such as Prince of Persia: The Forgotten Sands, the Wii U version of Assassin's Creed 3, and even his own internal game pitches that eventually were shot down and cancelled. Check out the full post at the source link below. Are you disappointed in Mighty No. 9's delay? And what are your thoughts on 3D SEGA Classics Collection as well as the new info about Michael Jackson composing Sonic the Hedgehog 3's soundtrack?